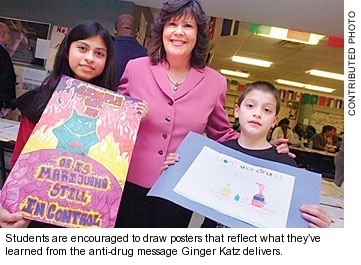 Ginger Katz, Courage to Speak Foundation is Taking Action! as this little ‘Anti-Drug Bible’ for Adolesence/Children/Parents, as we refer to this parable told through the eyes of the family pet beagle named Sunny, just may SAVE YOUR LIFE! I remember the day a beagle puppy named Sunny came into our lives. He quickly became my 7 year-old son Ian’s best friend. Sunny would follow Ian from room to room. He waited by the door for Ian to return from school. Sunny was the heart of our family. Fourteen years ago, I lost my beautiful 20-year-old son Ian to a drug overdose. Sunny tried to wake me the night Ian died, struggling up four flights of stairs to let me know something was wrong. But his message went undelivered. I slept soundly that night. Ian told me he would see a doctor in the morning to face his addiction. I woke the next morning to find my son not breathing. My cries for help were heard two blocks away. In the painful days following Ian’s death I was overwhelmed with a commitment to prevent others from enduring this tragedy. I founded the Courage to Speak Foundation to share Ian’s story and take my prevention message to children, parents, and educators across the country. Our mission is saving young lives by offering real life tools that help parents and students face and avoid drug abuse. I held Sunny one afternoon saying, “If you could talk – you’d have a lot to say”. In that pivotal moment I was inspired to write the book Sunny’s Story about the special relationship between Sunny and Ian. It is narrated by Sunny – telling joyful and sad times and how his best friend was needlessly lost. 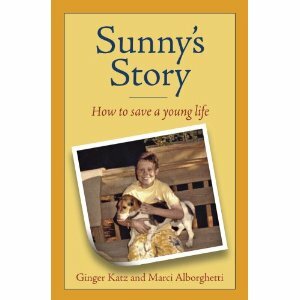 Today, Sunny inspires children nationwide. I receive thousands of letters and emails telling how Sunny’s Story helped them stay away from drugs. Sunny’s message is as fresh today as the day Ian died. For his unwavering loyalty and powerful message he conveys, Sunny is forever close to my heart. The Courage to Speak Foundation, Inc.
Hello there, simply turned into aware of your blog through Google, and located that it’s truly informative. I’m going to be careful for brussels. I’ll appreciate in case you continue this in future. Numerous people might be benefited from your writing. Cheers! Thank you for sharing your heartwrenching story and for having the courage to take action to spread your anti-drug message to students, parents and educators. I pray that more children and young people will stay away from drugs because of Sunny’s story.